I have several customers who LOVE butterflies! One collects them and the others just love to use them and have them on the cards they make! But really, who doesn't love butterflies? They are beautifully fragile and part of what make our world so lovely. 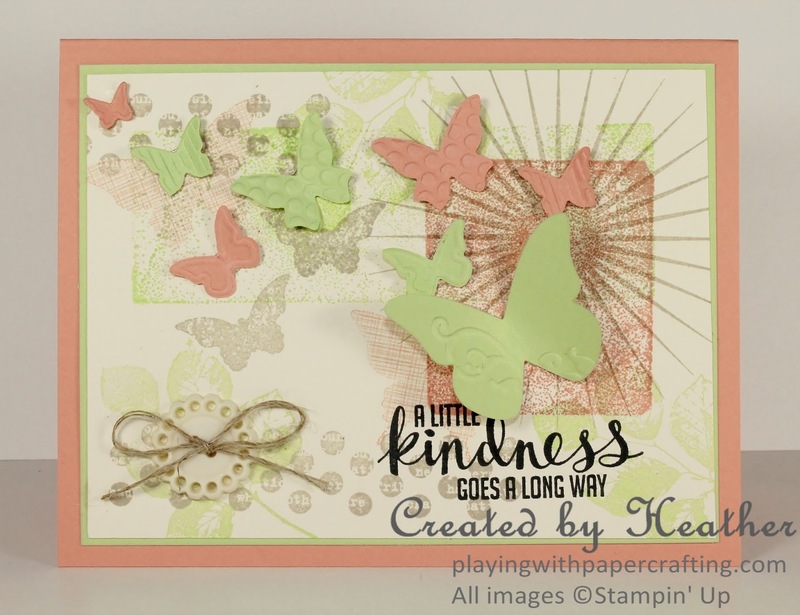 I know my customers are going to adore today's As You See It Challenge, because there is a whole flock of butterflies on it. Actually, a group of butterflies should rightfully be called any of the following: a swarm, a rabble, a kaleidoscope or a flutter. Since bees swarm and rabble sounds much too rambunctious for butterflies, I like flutter or kaleidoscope to describe them. 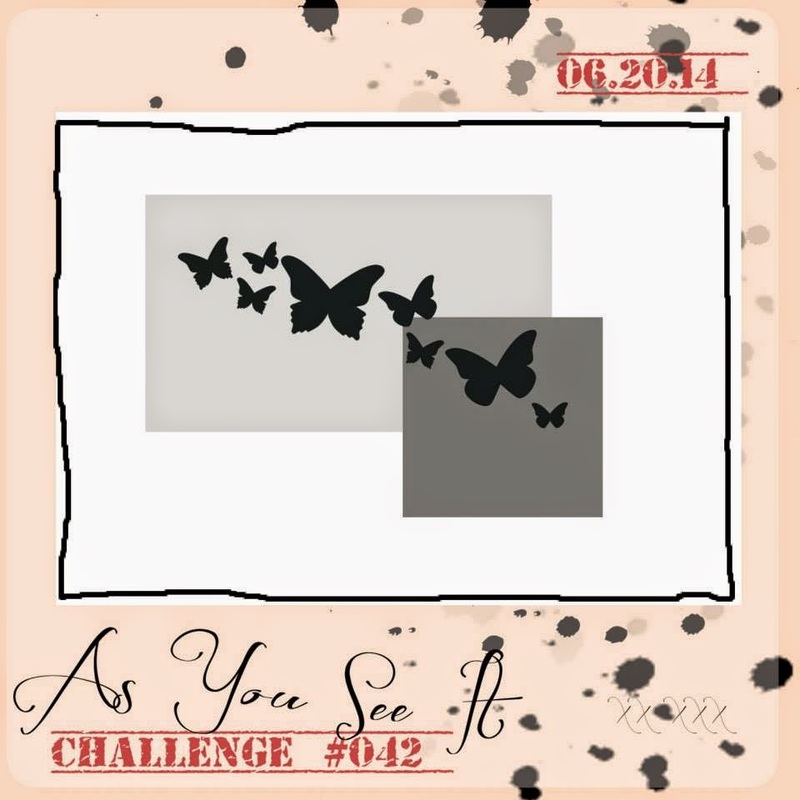 So, the As You See It Challenge this week has a whole flutter of butterflies on it! Maybe that will convince some of my customers to enter the challenge! Yes?? Come on, you know you want to! Back to Kinda Eclectic again. Sure hope I don't wear it out before the year's over! I used it for what it's designed for: collage stamping to form the background for my butterflies. 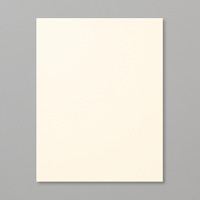 My colour palette is Crisp Cantaloupe, Pistachio Pudding, Sahara Sand and Very Vanilla. 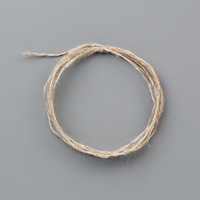 Overall it forms a soft subdued look. To get the two rectangle shapes from the sketch, I simply inked up two clear mount blocks, one in Crisp Cantaloupe and one in Pistachio Pudding, and stamped with the empty clear mount block. It gives a soft look to go along with the colour choices and the stippled look provides a shape that doesn't compete with the butterflies for star billing. 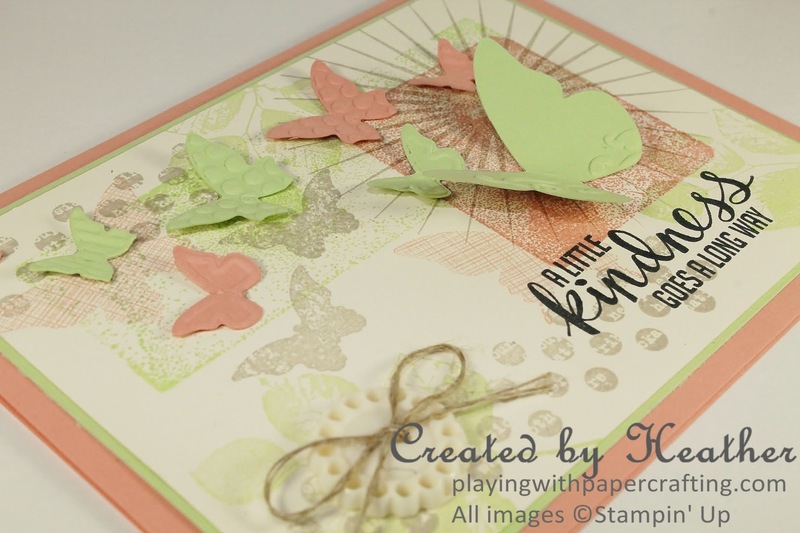 The butterflies themselves were made by taking a square each of Crisp Cantaloupe and Pistachio Pudding cardstock and running them through the Big Shot using a perennial favourite embosslit - Beautiful Wings. 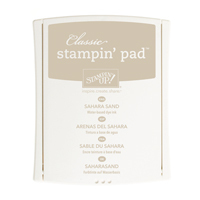 The embosslit die cuts and embosses at the same time - so handy! The sentiment is from Kinda Eclectic and I think kindness is symbolized by the butterflies. Some are big kindnesses and some are tiny, but like a butterfly, they fly a long way, helping us to create and maintain relationships! How's that for a philosophical thought to end this post! Have a great weekend! See you on Monday with a new video tutorial! Your collage skills are amazing! I love this card!